This is the first of a three postcard series being sent to B2B prospects across New Jersey. American Asphalt of W. Collingswood Heights, NJ brought Manna Design on board to help market their amazing services to their New Jersey service base. The project started with a new logo design and went on to a complete stationary package. 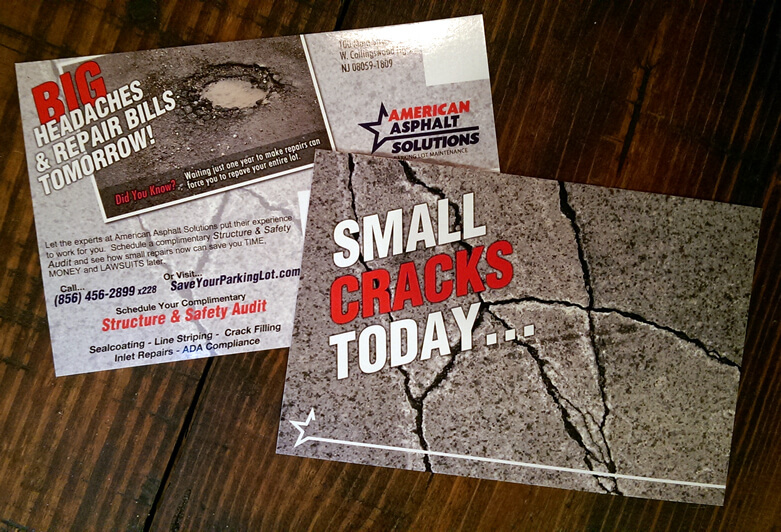 From there we worked closely with their team to help launch a new division of the company: American Asphalt Solutions. We’ll post the next postcard as soon as it comes back from the printers.